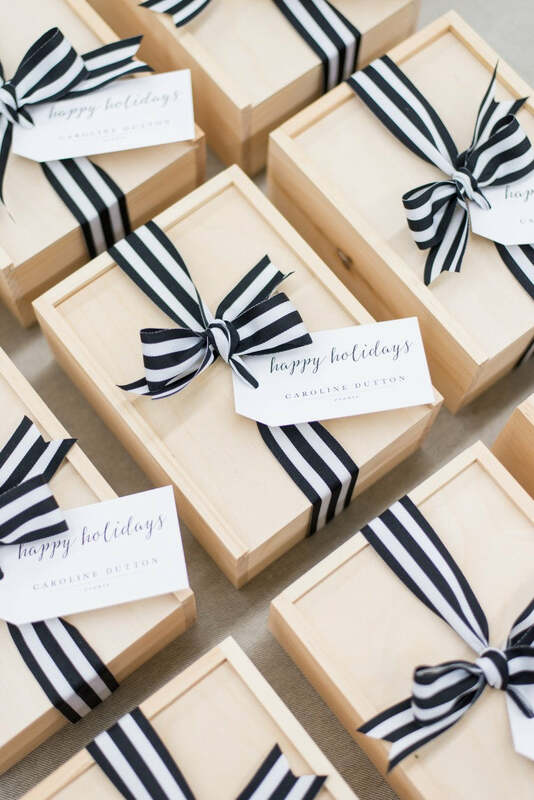 These modern, black & white client gifts we designed for DC wedding planner Caroline of Caroline Dutton Events are some of my absolute favorite curated gift boxes from this past holiday season. We introduced her new logo in the form of a custom cookie. We also included a small bottle of bubbly along with a glossy, black, double-wick candle to bring out the modern aesthetic! Then we softened the modern by adding fresh greenery and mini pine cones as a nod to the season. 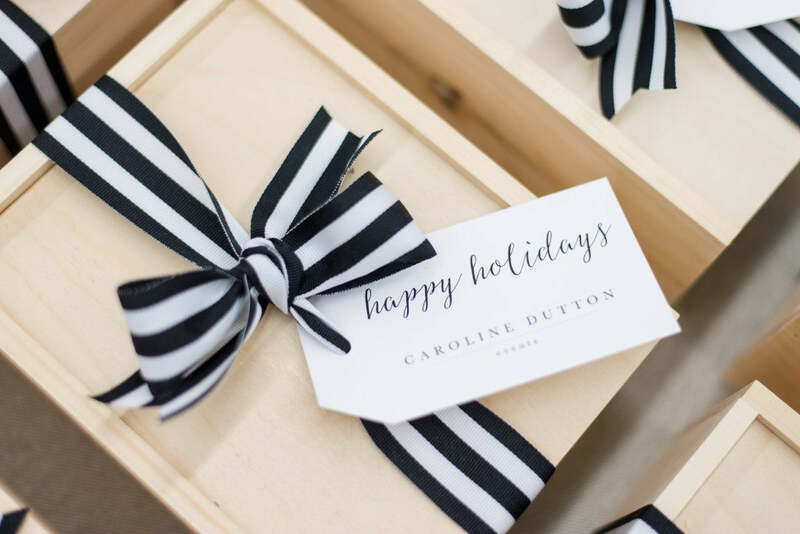 We finished the gifts off with black and white striped ribbon and custom "happy holidays" gift tags. 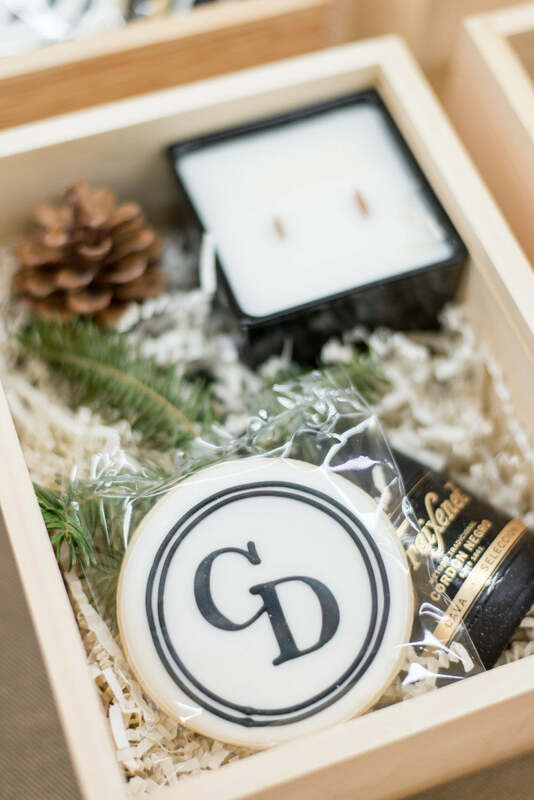 Client gifts and corporate gifts don't necessarily need to be huge and over-the-top to be on-brand and memorable. 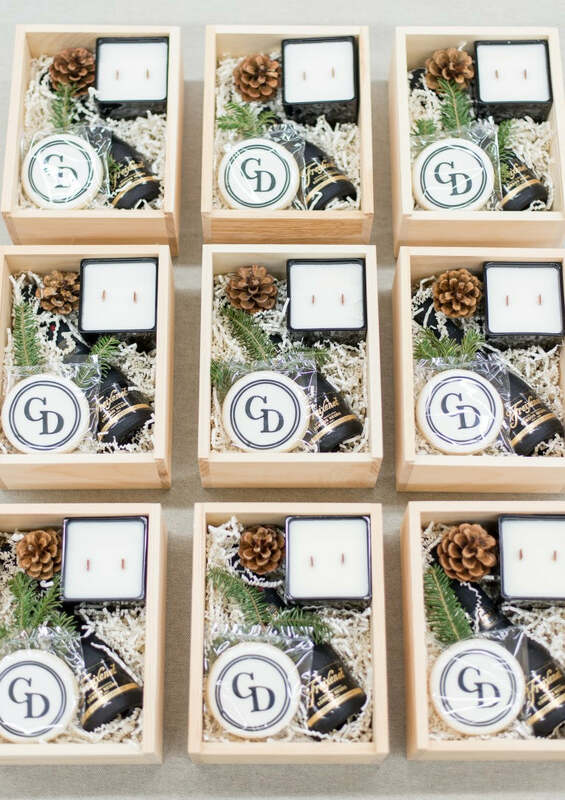 While these particular gift boxes were small and contained three key items, the carefully curated contents were thoughtful and purposeful and came together perfectly for Caroline's engaged couples and vendor contacts in the industry. She received numerous emails and texts of thanks once her recipients received their gifts which, of course, makes our day! For more information on custom gift design with Marigold & Grey, please email us via hello@marigoldgrey.com.